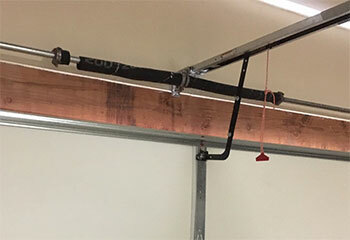 This page can offer you some examples of the different ways our team helped local homeowners with garage door related tasks. If you need our help dealing with a problem or replacing some part of your old mechanism, just give us a call. 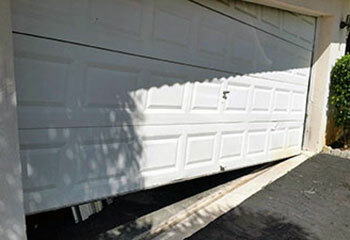 Customer Issue: One of the customer’s torsion springs blew out while the garage door was at rest. Our Solution: As always with spring replacement, the team made safety their first concern, clearing out the garage before carefully easing the springs loose one fraction of a millimeter at a time. Once they were lax, they finished unscrewing the caps and replaced the springs after servicing the torsion spindle. Customer Issue: The door was barely able to move up and down. Our Solution: We examined both the tracks and the rollers to try and locate the source of the problem, and ended up finding significantly bent sections as the culprits. We removed the door from its place, replaced both tracks and then reconnected the door and made sure it was in complete alignment and able to open and close properly again. Customer Issue: Opener can't start. Our Solution: The problem wasn't with the unit's power source, which was the first thing we checked. We then inspected the internal components and found that a part of the circuit board was destroyed by a power surge. We replaced it with a new board and the opener returned to a fully functional state. Customer Issue: Needed a new opener for a new garage. 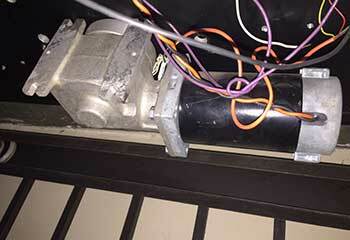 Our Solution: The customer had moved into a new home and his new garage door required a new powerful opener. 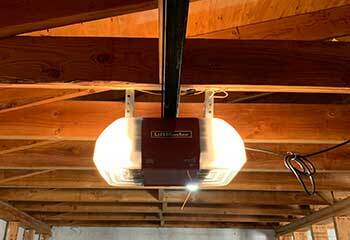 We recommended a few different models, and he ended having us install the LiftMaster 8587W chain drive opener, which boasted 3/4 horsepower output and Wi-Fi compatibility.